Fernando Alonso says McLaren now "knows exactly what to do" to solve the ongoing issues with its 2018 F1 car. Fernando Alonso is confident McLaren is now in a position to “know exactly what to do” in order to address the issues that have hampered its 2018 Formula 1 car. 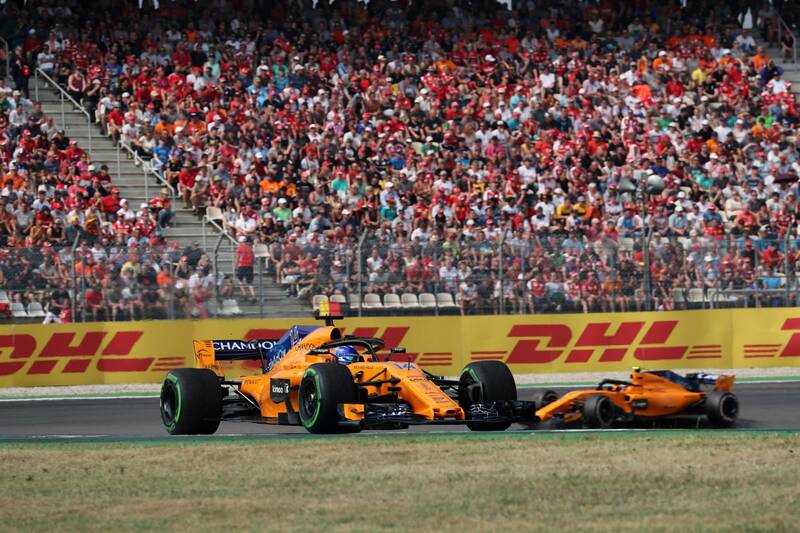 Despite finding gains following its switch to Renault power, McLaren has struggled with a lack of downforce and speed throughout this season, with the team currently languishing seventh in the constructors’ standings and over 30 points behind the works Renault team. The problems have been particularly apparent on Stoffel Vandoorne side of the garage in recent races, prompting a change of chassis ahead of this weekend’s Hungarian Grand Prix. “We are working very hard and very deep into the weakness of the car,” Alonso explained. “First we identify them in race three or race four. “In Barcelona we introduced a new package with a new front nose and different things and we recovered a little bit the level. So we performed well in Barcelona and Monaco but then we came back to our original problems and lack of performance. But while Alonso revealed the Woking-based squad has found some fixes for its MCL33, he said the majority of the proposed remedy will be applied on its 2019 challenger. “There are some fixes for this year but let’s say that 70% of the knowledge and the understanding of the car will be for next year’s project because it requires time - three or four months development and wind tunnel time etc - that is probably better to invest for next year,” the Spaniard added. McLaren’s issues have led the team to devote the majority of its Friday running at the last few races as test sessions, in which the team has trialled a number of aerodynamic set-ups. When asked if McLaren will continue that philosophy into the second half of the season, Alonso replied: “We will keep that approach. Fridays, especially FP1, we will try to learn as much as we can. “Maybe this Friday is a little bit more normal, we have some updates at this race and we will concentrate on validating them as well.